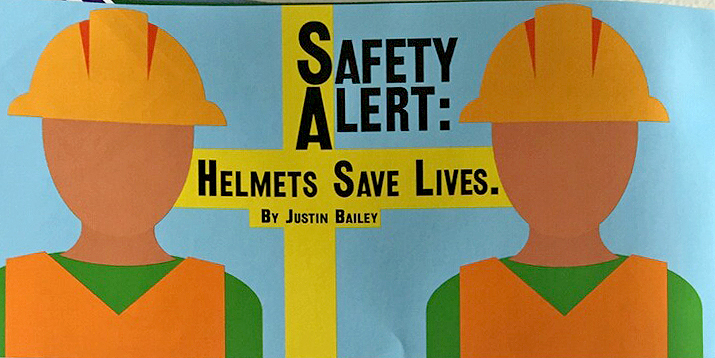 SAFETY ALERT: Helmets Save Lives. “We’ve been pushing safety, we’ve got the safety manual, we have the safety meetings. We’re following the accepted guidelines for our trade to the best of our ability. And that didn’t keep our guy from getting hurt. They also say that a majority of falls occur at the transition point between the ladder and the roof. “We had a guy who was working on a ranch [single story house], guy’s 6’4”, name’s Blake Giles, he’s been with me for years. It was a low pitch roof. We don’t know what happened, because he doesn’t remember, but there was a fall. “He hit his forehead and cracked his skull. Long story short, he ends up at the ER and [it seemed like] we might lose Blake. It was terrifying. It’s every business owner’s worst nightmare. There were a lot of days of touch and go. “Yesterday was his first day back. He was out for a few months with this injury, and it could have killed him. This kind of fall has killed other folks. I read about the five second rule… It’s if you want to start something new, like say meditating, you don’t start and say ‘I’m gonna do an hour of meditating every day.’ Because you’re probably not gonna do that. But you can say, ‘I’m gonna meditate for five seconds,’ and five seconds turns into more. “Instead of throwing everything at the guys at once, we asked, what could be the safest thing we could start with, that doesn’t take a lot of training and that we can just do? That was the helmets. “We picked up a helmet line that’s the lightest, most functional thing which is made for climbers and is certified for what we do. “I thought we would have some difficulty getting the guys to wear helmets because they just never had to before. The opposite was true. They love them. I think they were ready for it after what happened. I think our guys, they had their own dark nights [after the accident], thinking ‘is this for me?’ They adopted them wholeheartedly. “I picked up those helmets because I want to be a part of positive affective change, I want to help change the culture. 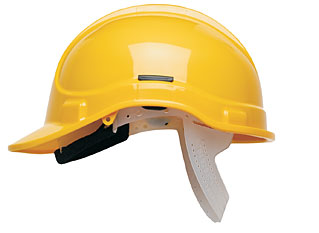 [Putting on a helmet] is easy to do. “If you fall and break a leg or an arm, you’re most likely not gonna die from that, but the same blow to the head can kill. In hearing this story, I remembered how when I used to ski as a kid in high school, nobody wore a helmets. We would be going fifty or sixty miles an hour sometimes. People died. Now the vast majority of skiers wear helmets. Same with seatbelts – when I was a kid nobody wore them. Now everybody wears them. The car seat we grew up with our mom sticking her arm out to keep us from slamming into the dashboard. Now people have car seats for kids. I mentioned these things to Barnhill. “I think in two years, anybody who is anybody in this industry will be requiring their guys to wear helmets,” he said. Let’s hope so. In the meantime, if you are interested in purchasing helmets for your crew, call Barnhill Chimney Supply at 859-389-8607 or go to www.barnhillchimney.com. 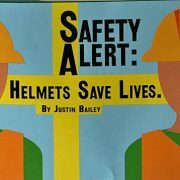 http://www.baileyschimney.com/wp-content/uploads/2017/05/helmets-save-lives.jpg 358 715 jheveron http://www.baileyschimney.com/wp-content/uploads/2017/09/Chimney_service_Taos_Santa_Fe.png jheveron2017-05-30 07:53:232017-05-29 23:01:27SAFETY ALERT: Helmets Save Lives. Angies List Super Service Award What you need to know before starting that first fire of the season.